As the summer season comes to a close, most of us shift into a more focused work mode. 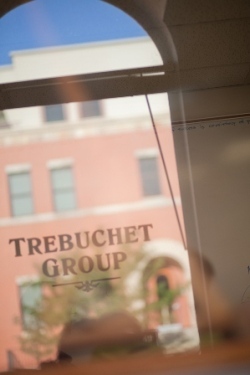 At Trebuchet Group, we are doing so by committing to making our newsletter more consistent and useful for readers - that is, you. You may have been subscribed online for some time, or you may be a new online subscriber. Either way, welcome! As a leader, how can I both lead and be part of the team? What motivates my team, and how can I inspire them? In my position, which is more important, management or leadership? How important is it to be proactive versus react to circumstances? What can we do to make our communication more effective? How can we get to a shared vision for where the company is going? We know you have little time to devote to complicated, multi-step programs - so our suggestions will be simple and actionable. We're talking about things you can do in about 15 minutes. We'll also provide resources and occasional offers, so you can explore any topic further. And of course we are here to answer questions you might have. We hope you will consider us a valuable component of your ongoing growth - for your business and for yourself as a leader. Feel free to pass along these newsletters to anyone you think would benefit. We look forward to bringing you helpful content, so please let us know what you think and what you'd like.